TORONTO, ON – March 3, 2010 – The all-new Lexus CT 200h premium compact hybrid will be on display for the first time in North America at the 2010 New York International Auto Show March 31 through April 11. The sporty and versatile five-door, which had its global premiere at the 2010 Geneva Auto Show today, will be Lexus’ second dedicated hybrid and fifth hybrid vehicle in the Canadian line-up. The Lexus CT 200h evolved from the LF-Ch concept unveiled at the 2009 Frankfurt Motor Show and also shown at the 2010 Canadian International Auto Show, and was styled with optimum aerodynamic efficiency. Its size, packaging and hybrid technology meet the requirements of the discerning, environmentally-conscientious consumer in the emerging premium compact market. It offers no compromise on the quality, refinement and driving pleasure which hallmark the progressive luxury inherent in every Lexus. 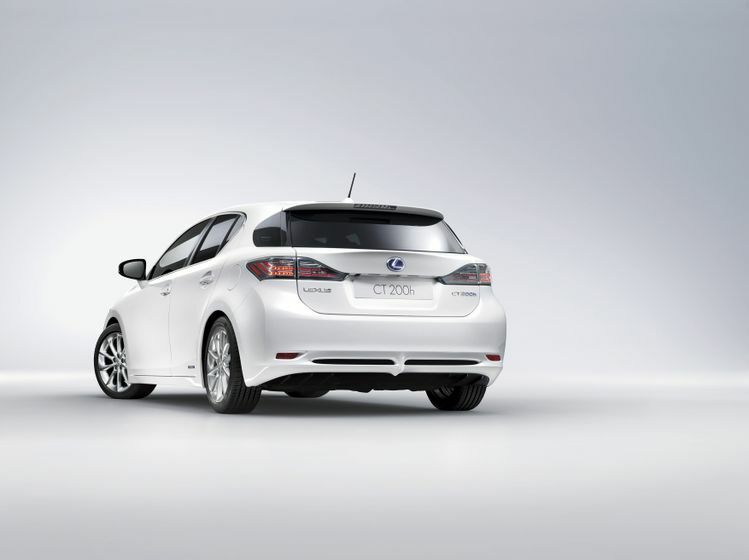 Lexus has offered consumers hybrid powertrain technology since 2005. Marking the introduction of Lexus Hybrid Drive technology to the premium compact segment for the first time, the all-new CT 200h not only reinforces the company’s clear leadership in hybrid technology, but also the unrivalled breadth of Lexus models available as a hybrid. The CT 200h features a 1.8-litre gas engine with Variable Valve Timing with intelligence (VVT-i), a high performance battery, power control unit, transmission with an electric motor generator, a power split device to re-allocate power from the engine and electric motor generator according to operational requirements. 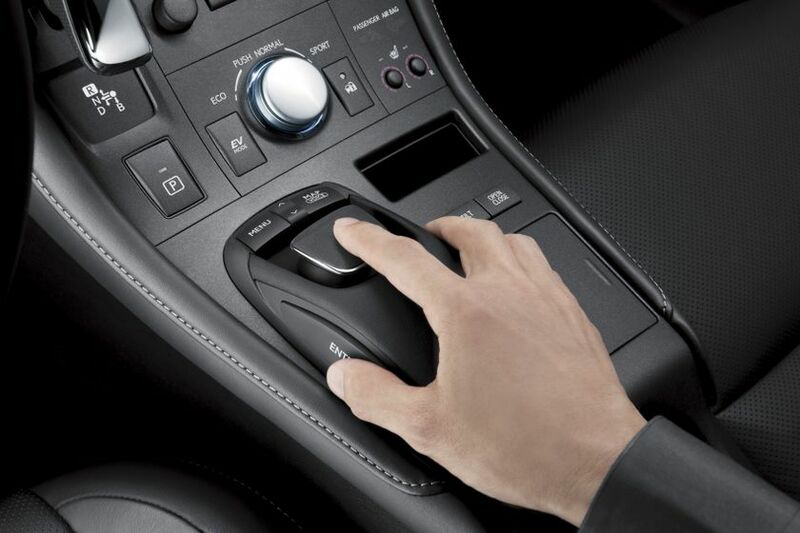 Four drive modes enhance the capabilities of the CT 200h’s Lexus Hybrid Drive technology and change the rate of throttle opening for a given throttle-pedal angle. EV mode allows for ultra-quiet running on electric motor power alone. Normal mode has an essentially linear throttle response while Eco mode reduces throttle response relative to the pedal angle and adjusts air conditioning settings to emphasize fuel economy. The new CT 200h has been specifically developed to combine superior handling agility and a sporty driving experience with the ride comfort expected of any Lexus. The Sport mode provides a more responsive throttle and modifies the Electronic Power Steering (EPS) settings to give a faster response to driver inputs. In the interest of maximum fuel efficiency, particular attention has been paid to the aerodynamic efficiency of every aspect of the CT 200h’s design. The front and rear corners have been pulled in tight to improve the flow of air down the sides of the vehicle and minimize wind turbulence within the wheel arches. The sides of the cabin have been tapered, the rear edge of the roof lowered and even the lower body painstakingly detailed to optimize airflow. Completing the look are available, unique 17-inch alloy wheels and blue badging specific to Lexus hybrid vehicles. The interior offers unprecedented levels of refinement in this segment. Efficient and elegant, the cabin combines superior ergonomics with hand-crafted, premium quality materials to create an outstanding driving environment. The extensive use of metallic finishes and dark, soft touch materials reinforces the luxury experience. Despite the compact package, the CT 200h does not compromise interior roominess. Its long, 102-inch wheelbase offers front and rear seat passenger accommodation that is amongst the most spacious in the segment.